Over the next few weeks, as I do my first production infrastructure implementation based on Windows Server 2016 and System Center 2016, I am sure this list will grow longer. In the meantime, I have uncovered my first pet peeve in the new version. Don’t get me wrong, overall I like Server 2016… but to find out that it is no longer possible to install Windows Server with a GUI (Graphical User Interface) and then later to uninstall the GUI (see article for Windows Server 2012) is fairly annoying. Throughout the launch of Windows Server 2012 I was with the Evangelism Team at Microsoft Canada and I traveled the country – first for the launch events, and then evangelizing and teaching that platform. I spent a lot of time talking about Server Core because of the benefits for security, as well as for the reduced resource requirements (which, in a virtualized infrastructure, can be staggering). Of course, Server Core looks a lot like where we started out… if you were a server administrator back in the 1980s and most of the 1990s, you were using command line tools to do your job. However it had been too long ago, and the vast majority of admins today were not admins back then. So I was able to discuss a compromise… Install Windows Server with the GUI, and when you were done doing whatever it was you needed the GUI for (or thought you did), you could uninstall it… or at the very least, switch to MinShell. I showed up at my client site this week and was handed a series of brand new servers on which to work. They all had the GUI installed. So I went to work, and typed in that familiar PowerShell cmdlet to remove the GUI. I was greeted by that too-familiar red text which meant I had done something wrong. 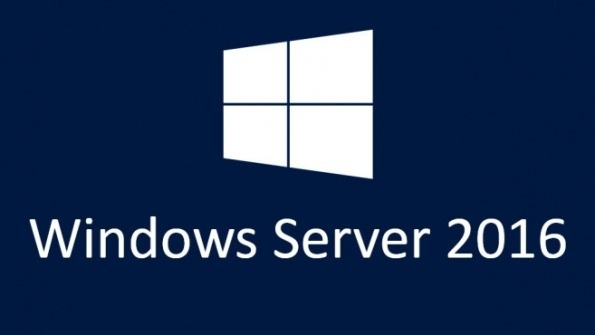 I will spare you the boring details, and after several minutes of research I discovered that Microsoft had removed the ability to remove the GUI in Windows Server 2016. Unlike some previous releases of Windows Server, you cannot convert between Server Core and Server with Desktop Experience after installation. If you install Server Core and later decide to use Server with Desktop Experience, you should do a fresh installation. I wish it weren’t so, but it is. Once you install the GUI you are now stuck with it… likewise, if you opted for Server Core when you first installed, you are committed as well.